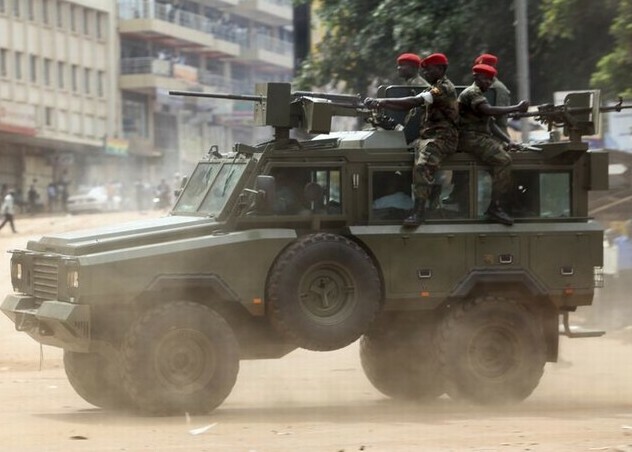 Kampala (AFP) – Ugandan security forces stopped a cell of Somalia’s Al-Qaeda linked Shebab insurgents apparently “planning for an imminent attack,” the US embassy said Saturday. U.S. Embassy in Uganda told citizens to seek shelter amid anti-terror operation Reuters. Arrests were made, police said, in raids two weeks after Ugandan troops, fighting in Somalia, reportedly provided intelligence that helped US special forces kill the Shebab’s chief in a devastating air strike. “Ugandan authorities reported the discovery of an Al-Shebab terrorist cell in Kampala,” the US embassy said in a statement, adding that forces were working to see “whether there are members of the cell still at large.” Citizens were urged to stay at home on Saturday. “We remain in close contact with our Ugandan counterparts as investigations continue into what appears to have been planning for an imminent attack,” the US added. Police spokesman Fred Enanga said forces had “made arrests” but gave no details of how many people had been detained. “Joint security agencies in Uganda have foiled a terrorist attempt at one of its installations,” Enanga told AFP, without giving any further information. Security forces have boosted patrols around major sites, the US said, in a warning statement to its citizens in the east African nation. “At this point we are not aware of specific targets, and the Ugandan authorities have increased security at key sites, including Entebbe International Airport,” the embassy said. Last Monday the US embassy warned that Shabab insurgents may try to exact revenge for a US air strike that killed the militant group’s commander. Uganda’s government said the country — a major contributor to AMISOM, the African Union (AU) force fighting the Shebab — was “happy” at death of Godane, and had provided the US with key intelligence on his whereabouts. Uganda’s Ministry of Internal Affairs said immigration officers had carried out an “operation on illegal immigrant workers in different parts of Kampala” on Saturday morning, with 69 people arrested. It was not clear if the raids were connected. The Shebab insurgents have claimed recent attacks in Kenya and Djibouti, and at home in Somalia. During the World Cup final four years ago, Shebab insurgents killed at least 76 people after setting off explosions that ripped through two restaurants in Kampala. In July, the US embassy warned of a “specific threat” by an unknown group to attack Entebbe international airport, which serves the capital Kampala. It also warned its citizens of a general threat of attacks which could target hotels, restaurants, clubs, malls, diplomatic missions, government buildings and transport. The Shebab claimed responsibility for the assault on the Westgate shopping centre that killed at least 67 people in the Kenyan capital of Nairobi in September last year as well as for attacks on coastal regions. The strike against Godane came days after AU troops and Somali government forces launched “Operation Indian Ocean”, a major offensive aimed at seizing key ports from the Shebab and cutting off multi-million dollar exports of charcoal, one of their key revenue sources. AU troops in Somalia said Saturday in a statement they had attacked a Shebab base in the south of the war-torn country, inflicting “heavy losses” on the extremists, including killing several foreign fighters. It was not possible to independently verify the report.